Using the method described above, search for and install a package called Sublime Linter. Then install JSHint/JSLint and any other linter you may desire. After you’ve installed the Sublime Linter, you can search for in the command center and change various settings such as themes, delays etc. Match it to suit your needs. Moving onwards, you want to install a package called ‘Git’. 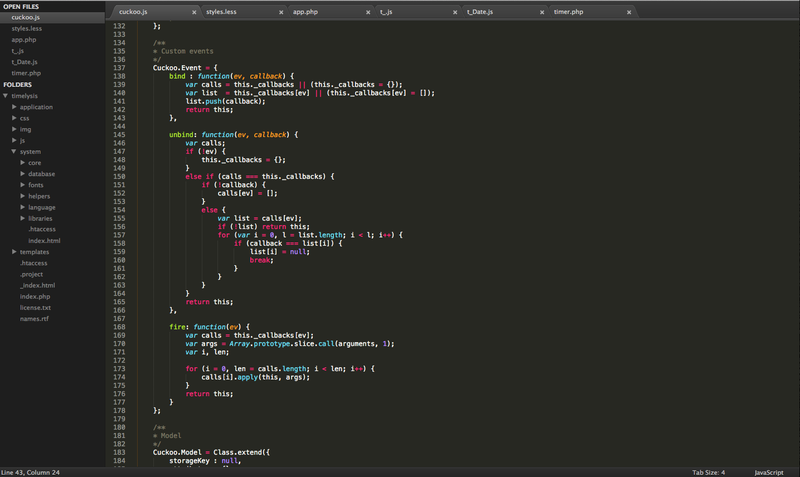 This gives you a bunch of git functionality right in Sublime Text, and is now available in the command center. You can add, commit, pull, push etc without switching to the terminal. Taking it one step further, you may want to install a package called GitGutter. GitGutter puts little icons for diffs in the gutter (the narrow margin directly to the left of the line numbers) while you work on a project. This package is dependent on the Git package so make sure you install that first. Finally, don’t miss out on Git Conflict Resolver. It’s a simple tool that highlights merge conflicts in files. It’s invaluable when things get hairy. Emmet is an awesome little plug-in that gives you super-powers while typing HTML or CSS. It lets you type something like div.container and press tab to get a div with the class of container. It’s really quite magical. You should read more about it here. you should get a path that looks something like this: /usr/local/bin/node. Copy it. This setup has been invaluable for me, hopefully you can find some value too. You should probably go into the key-binding setting and swap the shortcuts for paste and paste and indent. You’ll thank me later.